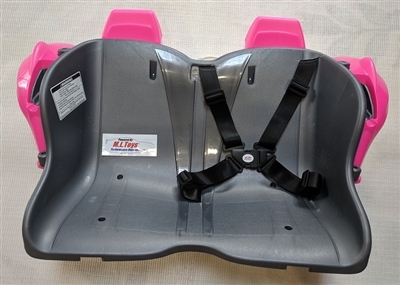 Teach your child the good habits of using a safety belt with our 4 point harness specifically designed for ride-on cars. The 4 point attachment gives the look of a race car and is easy enough for your child to operate on their own unlike carseat belts. The wide polyester straps are resistant to UV wear and resist stretching from water exposure. One clip easy on and off. Very simple installation with a Dremel tool or other cutting device to slot the seat in 10 minutes. Follow the video installation instructions linked on this page. This harness does not replace safe driving techniques and common sense. Be sure to properly adjust your harness' straps as shown in the installation video. Driver and parent assume full liability for any injuries sustained while operating their ride-on car. Kit includes one 4 Point Harness for one person and mounting hardware. Seat not included. 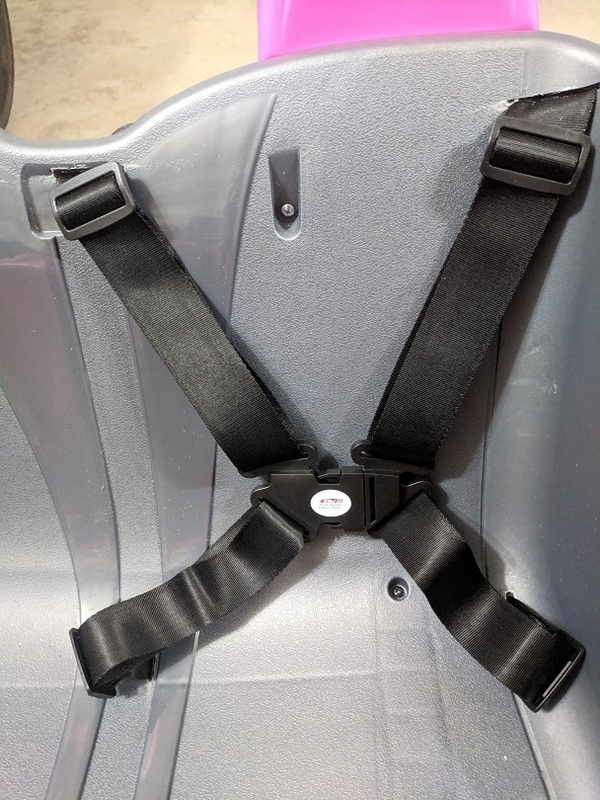 I was always concern about seat Belts and iam glad this company made this ones they fit perfectly Easy Installation and the best part they help keep the kids safe. Perfect quality !! 100 % RECOMENDED! !